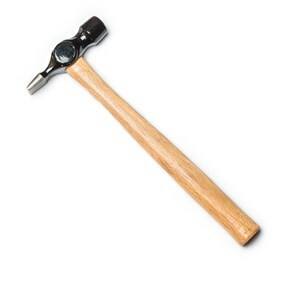 We stock a range of high quality jewellery making hammers which have been tried and tested in our workshop. 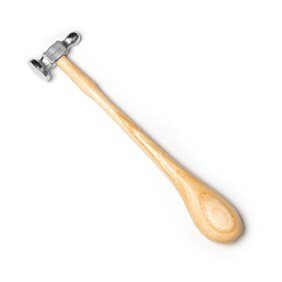 We have a hammer to suit every jewellery need from our popular rawhide mallet which is ideal for shaping and forming metal without leaving hammer marks to our best selling ball pein hammer, the hammer we recommend for achieving a textured effect on metal sheet and wire. 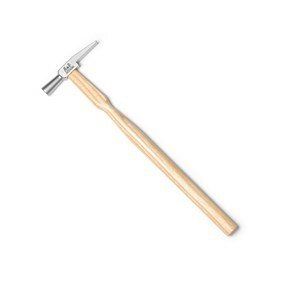 Jewellery hammers are used to shape, form and texturise metal. 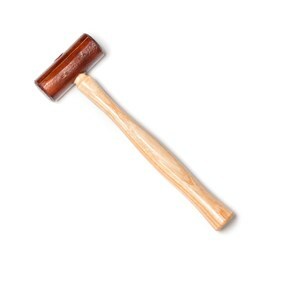 Below is a brief outline of our range of jewellery hammers and if you have any questions, please contact our friendly team who will be pleased to help you. A rawhide mallet is a workshop essential, used for shaping, forming and hardening metal without leaving any marks. Use a repousse hammer for forming metal and raising shapes from sheet metal. You can also use the round end to create texture - making this a multi-purpose hammer. This jewellery hammer has a domed end and flat round head, the domed end it great for creating texture. It can also be used with doming punches and a doming block to create curves and domes in flat metal. 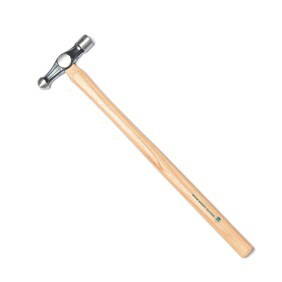 Also known as the Warrington hammer, this is a great all-purpose hammer. This hammer is good for creating a bark-like texture on metal, forming, marking metal and good for using with punches and stamps. Sometimes referred to as a watchmakers hammer, this is lightweight and great for precision work such as riveting and flattening fine wire. You can also use the chisel end to create a bark effect on sheet metal.